Breast manufacturers Sientra Inc. and Mentor Worldwide were issued warning letters from the U.S. Food and Drug Administration (FDA). The manufacturers did not follow the FDA’s requirements for post-approval reports on their products. The reports are supposed to show long-term health risks linked to their silicone breast implants. All manufacturers of silicone breast implants are required to conduct post-approval studies. The FDA requires these studies in order to protect consumers from dangerous products. Premarket clinical trials on breast implants are also required and these help the FDA determine the specific side effects that the public should be aware of before having any procedures done. The FDA is committed to holding manufacturers that did not follow their requirements responsible for any adverse events. The silicone breast implants have to be regulated by the FDA and deemed safe, but this all depends on the post-approval requirements. Sientra and Mentor Worldwide were both found to have low recruitment and insufficient data for their post-approval studies. Once the FDA discovered that the two manufacturers had failed to meet their guidelines, they issued warnings. The FDA requires a long-term collection of information from studies so they can be used for the long-term safety of patients’ health. The data is collected via tools such as adverse event reports, post-approval studies, registries, scientific literature, and pre-market clinical trials. The warning letter sent by the FDA to Mentor Worldwide addressed the company’s Memory Shape breast implants and how significantly insufficient the post-approval study’s data was. Mentor Worldwide’s Memory Shape breast implants were approved in 2013. The manufacturer also failed to have the correct minimum number of patients involved in their study. Data from the study contained serious deficiencies such as missing ethnicity and race classifications and inadequate patient accounting. During the FDA’s reviews of interim study reports, the agency seemed to be following the correct procedures. Upon discovering the substandard data reports from Mentor Worldwide, the FDA notified the company of their concerns about the data inconsistencies, incorrect procedures, failure to follow requirements, and more. Mentor Worldwide failed to address the concerns and violated the FDA’s strict pre-market order regulations. The warning letter that Sientra received from the FDA addressed the company’s inadequate post-approval study of its Silicone Gel Breast Implant products. Sientra was found to have unsatisfactory follow-up rates with patients using their products. The company’s follow-up rate was 62%, which is extremely below the required follow-up rate of the FDA. The response from the FDA was based on Sientra having unacceptable data and failing to follow the guidelines set by the FDA. Sientra violated pre-market approval order regulations by not complying with the FDA and not addressing the issue. Sientra and Mentor Worldwide both received requests from the FDA to provide a response to their warnings within 15 business days. The FDA wants the responses to include a detailed plan on how they will correct data deficiencies and violations of their requirements. Failure to respond or comply and the FDA will pursue legal action that includes pursuing criminal penalties and civil penalties. The FDA is dedicated to protecting consumers and will not tolerate negligent manufacturers. To assist the agency in dealing with post-market issues with manufacturers, the FDA has created a Medical Device Safety Action Plan. The FDA’s plan aims to address issues regarding dangerous products and will make actions toward these safety risks more effective. Based on this plan, the FDA will take immediate action towards manufacturers that are violating the requirements of post-market studies or any other types of requirements from the agency. Sientra and Mentor Worldwide are not the first manufacturers to receive warnings from the FDA because they did not comply with post-market study requirements. There have been many letters sent in recent years as products are continuously being developed. Nevertheless, the FDA says they will continue to protect the public and will hold all negligent manufacturers responsible for any lack of compliance. Not only has the FDA created its medical device plan to protect consumers, but they have also taken steps towards protecting the public against the risk of breast cancer. The agency is currently working with the American Society of Plastic Surgeons and Plastic Surgeons Foundation to establish a patient registry. The registry will collect information about patients who have been diagnosed with a form of breast cancer called anaplastic large cell lymphoma (BIA-ALCL). Studies have found that breast implants have been linked to anaplastic large cell lymphoma. This is a rare form of cancer that affects the immune system and causes white blood cells to grow uncontrollably. Anaplastic large cell lymphoma also causes a buildup of T-cell lymphoma in different body parts such as the lymph nodes. The FDA wants to use this registry to fight against breast cancer and obtain data that will help provide more information on understanding BIA-ALCL. The FDA has also worked with various stakeholders to establish the National Breast Implant Registry (NBIR), a platform for obtaining data on the safety and health-related risks of breast implants. The NBIR registry will help provide more information about post-approval studies regarding the long-term safety of breast implants. The FDA will remain committed to being transparent with scientific discussion as well as providing information on the safety and serious side effects of breast implants to the public. Patients who have experienced health-related issues related to breast implants from Sientra and Mentor Worldwide are encouraged to file a voluntary report with the FDA’s Adverse Events Reporting Program, MedWatch. Reporting issues with breast implants can help the agency prevent negative long-term effects on patients. The FDA will do everything they can to ensure products available to consumers are safe. Do You Have a Breast Implant Lawsuit? If you have suffered injuries from defective breast implants, you may be eligible to file a defective medical device lawsuit and receive compensation for your losses. 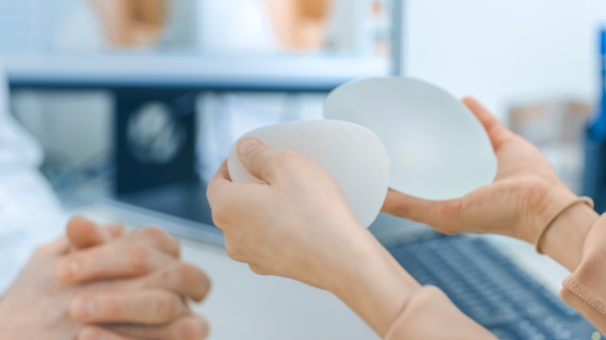 Victims of these harmful breast implants can trust the experienced product liability lawyers at The Eichholz Law Firm to hold the responsible manufacturers liable for your pain and suffering. Contact us today to learn what needs to be done to get the fair compensation that you deserve. York, Mark. “AN EMERGING LITIGATION? “Breast Implants Round II””, Mass Tort Nexus, https://www.masstortnexus.com/News/4365/AN-EMERGING-LITIGATION—%E2%80%9CBreast-Implants-Round-II%E2%80%9D. Accessed March 22, 2019. FDA. “Mentor Worldwide LLC & Acclarent 3/18/19”, U.S. Department of Health and Human Services, https://www.fda.gov/ICECI/EnforcementActions/WarningLetters/ucm633710.htm. Accessed March 22, 2019. FDA. “Sientra Inc 3/18/19”,U.S. Department of Health and Human Services, https://www.fda.gov/ICECI/EnforcementActions/WarningLetters/ucm633719.htm. Accessed March 22,2019.